If you missed Broker Fair, you can still get your hands on some of the gear and the presentations. Simply email info@brokerfair.org and ask to be shipped a copy of the Broker Fair Kit. 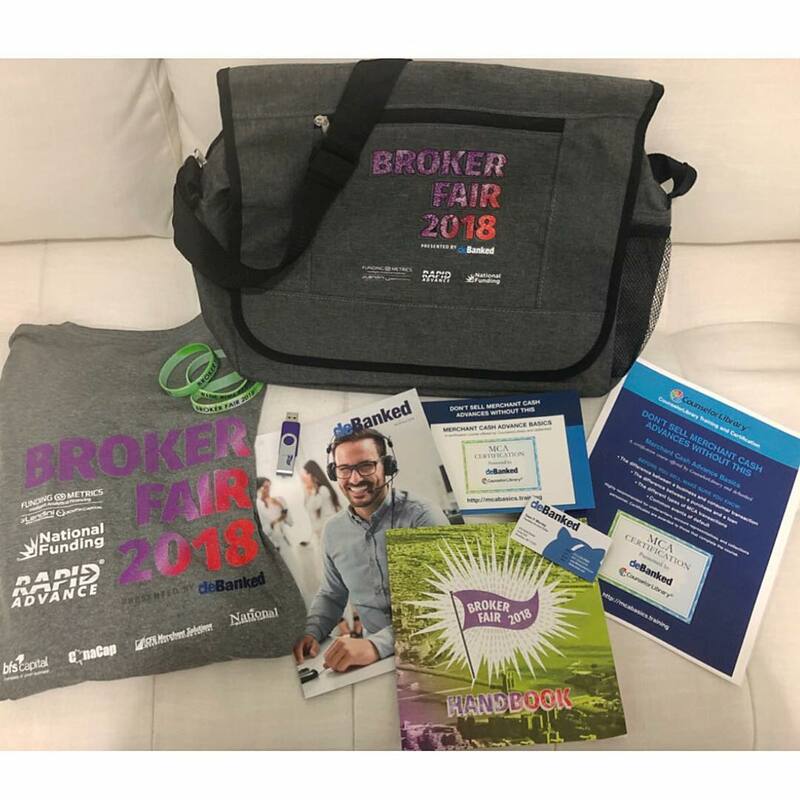 The accessories, which will only be provided while supplies last, include a USB drive with the day’s presentations, a Broker Fair bag, a Broker Fair shirt, a deBanked magazine, a Broker Fair handbook, and more. Also, don’t wait too late to REGISTER for deBanked’s half-day event in San Diego on October 4th. deBanked Connect: San Diego will connect funders, brokers, and folks from the industry for networking and cocktails!